As predicted by a reader of this site, TV3 will strip the latest season of Survivor weeknights, ahead of 3News. Survivor: Worlds Apart opens with a movie-length premiere on May 4 after previous seasons languished in SD on TV4. The show’s 30th season will occupy the 5.00 slot for three weeks, an unusually short duration given much longer-running Aussie franchises have been filling it of late. It starts two days after TV3 launches reality newcomer Highway Thru Hell in Ice Road Truckers’ 7.30 Saturday berth. 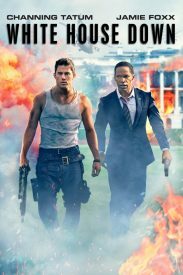 Making their network movie debuts in HD are 42 (TV1, 10.30 Saturday), White House Down (TV2, 8.30 Sunday) and Apollo 18 (TV2, 12.05am Monday). Other coming attractions in HD include The Iron Giant (TV2, 7.00 Saturday), Inception (TV2, 8.40 Saturday), Season of the Witch (TV2, 1.35am Sunday), Transformers (TV3, 8.00 Sunday) and John Carter (TV2, 8.30 Friday). This three-year-old Discovery Channel series follows a heavy vehicle rescue and recovery towing company based in British Columbia. It’s so far spawned four seasons and the first already is out here on DVD. According to one Canadian critic, “Highway Thru Hell, with its personal tales of battling the elements and beating the odds, was the most-watched debut in Discovery Canada’s history when it first aired, and it’s easy to see why, based on the opening moments of the second season. TV3 also is overhauling Thursdays with the first season of Grand Designs to screen here in HD, following by the 8.30 series premiere of Lost & Found and the 9.30 return of Bodyshockers. From the producers of Missing Pieces, Lost & Found has investigative journalist David Lomas and a specialist search team of genealogists and researchers reuniting families, uncovering cultural identity and discovering lost family heritage. “The extra time has allowed us to expand stories,” Lomas says of the hour-long format. “With Missing Pieces we were often cutting stories back to fit in to the half hour. We were losing bits that were quite powerful moments in the story telling. Other factual entertainment series starting the week of May 2 include ITM Fishing Show (TV1, 5.00 Saturday), which also will air in hour-long eps, and a primetime re-run of Women in Blue (TV1, 8.00 Wednesday). TV1 also begins a new strand of mid-week documentaries, the first being The Naked Village (9.30 Wednesday). “This documentary follows a resort outside St Albans with a population of just over 50, where everyone is a dedicated naturist,” the Daily Mail said. “They have sworn off being a ‘Textile’ (a person who wears clothes) and go about their daily business without a stitch on.